Ai from Poland sent me this uber nice award ~ Best Mom. I love it Ai. Thank you so much! 1. Show the award in your post. 2. Pick a picture you have with your kiddo/s. 4. 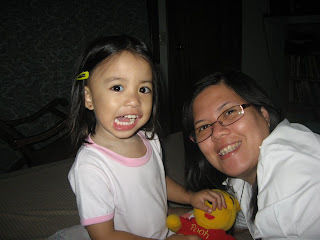 Nominate other bloggers out there that you consider the best mom, like yourself. I've always wanted to be a wife and a mom and ever since I gave birth to Zoe, my life has never been the same before. It has been happier and so fulfilling. I only wish that God thinks that I am faring well in my role as a mother and wife. But I know that as long as I trust in Him and I try to forget myself each day, I'll be able to a good mother to my children. Passing this on to all my mommy blogger friends! 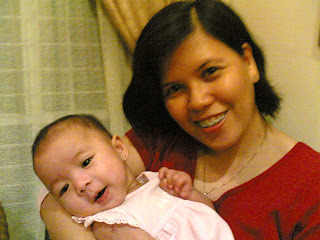 Hi sis, nice to see the pics of Zoe when she was just some months old. Oh you really deserved such award. ingat ka buntis. Ako lapit na talaga ako manganak. pray for me.